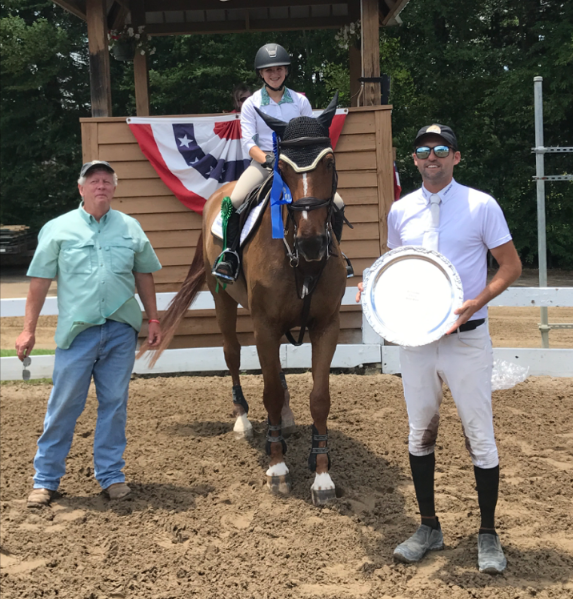 Germantown, TN – June 12, 2017 – Michael Tokaruk of Collierville, Tennessee, rode to a triple victory at the 69th Annual Germantown Charity Horse Show, becoming the first rider to ever win all three major jumper classes at the hometown show. 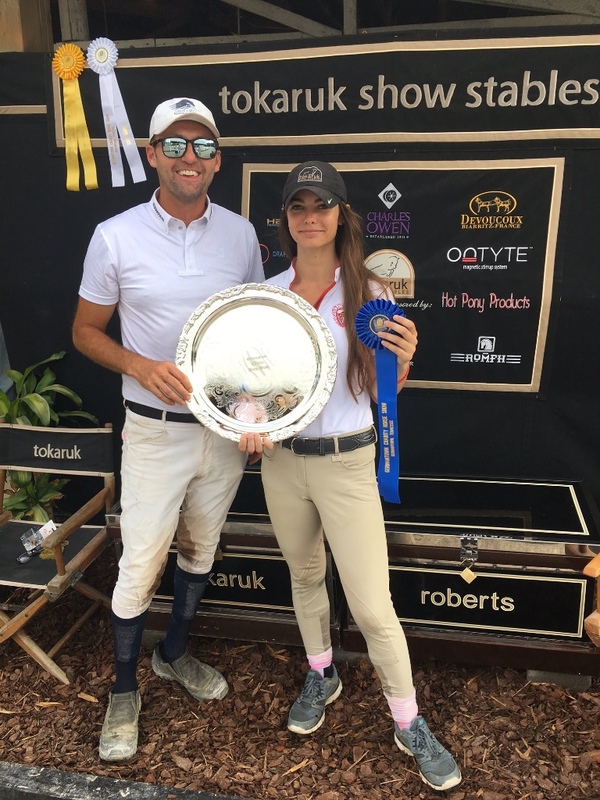 Tokaruk rode Hit Me Van’t Zorgvliet for Ilan Ferder of Royal Palm Beach, Florida, to win the $15,000 Open Jumper Welcome Stake, the $25,000 Grand Prix of Germantown and the $5,000 GCHS Hunter/Jumper Versatility Challenge featuring the Keepsake Perpetual Trophy. The GCHS Hunter/Jumper Versatility Challenge is a class with two rounds at 3’6” with the first round judged as a hunter classic and the second round judged as a jumper speed class. The winner is the horse and rider with the highest combined score from each round. 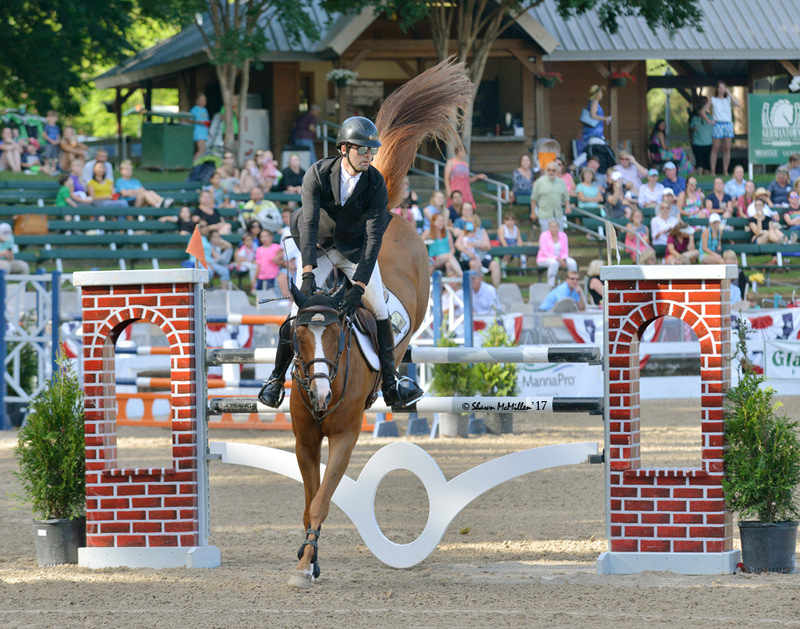 Tokaruk went on to ride the 10-year-old, Belgian Warmblood to the top of the leader board in the $15,000 Open Jumper Welcome Stake and the $25,000 Grand Prix of Germantown. Tokaruk took the horse in as a sale horse and has successfully been campaigning him. “He’s fast, smart, scopey and careful. He’s jumped in the 1.45m-1.50m and is pretty straightforward. We’re just getting to know each other,” added Tokaruk. Tokaruk also rode Major for the Sleepy P Ranch to the Reserve Championship in the 3’6” Performance Hunters. Major is another one of the quality sale horses Tokaruk has available. 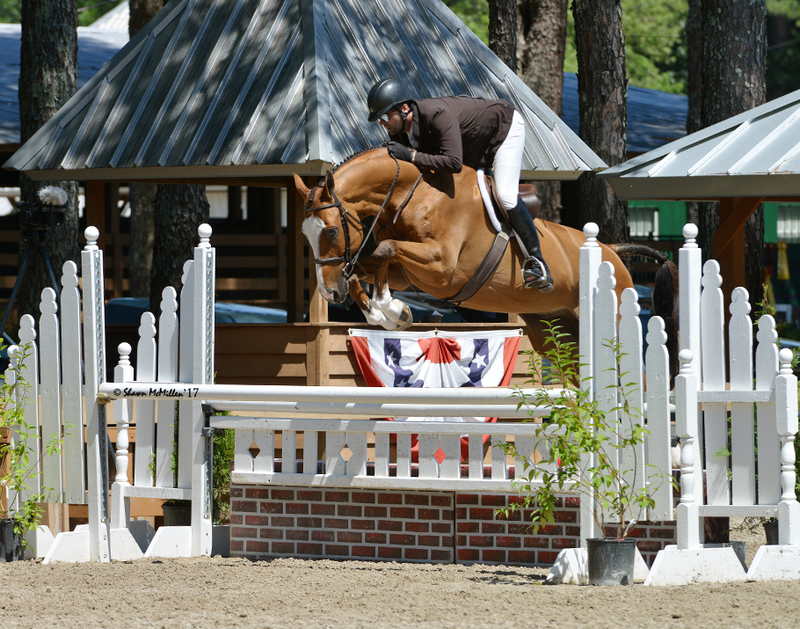 “Major is a versatile horse and can go in any ring and show as a hunter, jumper or equitation horse. He’s beautiful and has a great way of going, I'm going to do him in the derbies, which will be nice classes for him. We’ve been playing around with him in the equitation too. I think he might be a great USET type horse,” said Tokaruk. Maria Roberts celebrates a victory with Qasqai in the $5,000 Gambler's Choice with Cecil Roberts (left) and trainer Michael Tokaruk. Customer Maria Roberts, 17, of Collierville, Tennessee, took the top prize in the challenging $5,000 Gambler’s Choice on her Qasqai, clearing the 1.35m Joker Jump with ease. 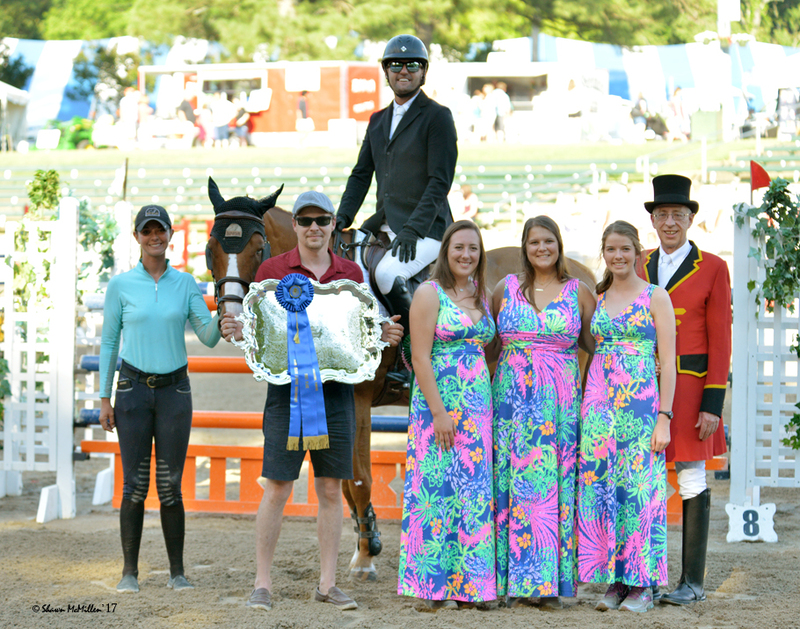 Roberts also claimed the blue ribbon in the Modified Jumper 1.20m class. “I like riding with Michael because every lesson I learn something new about the sport and he is really funny,” added Roberts. Cassie Kime displays her prize for the win in the Junior/Amateur Jumpers with Tenacious D.
Rider Cassie Kime, 18, of Collierville, Tennessee, earned the top spot in the 1.30m -1.40m Junior/Amateur Jumpers with her Tenacious D, helping her win the reserve championship in the division. 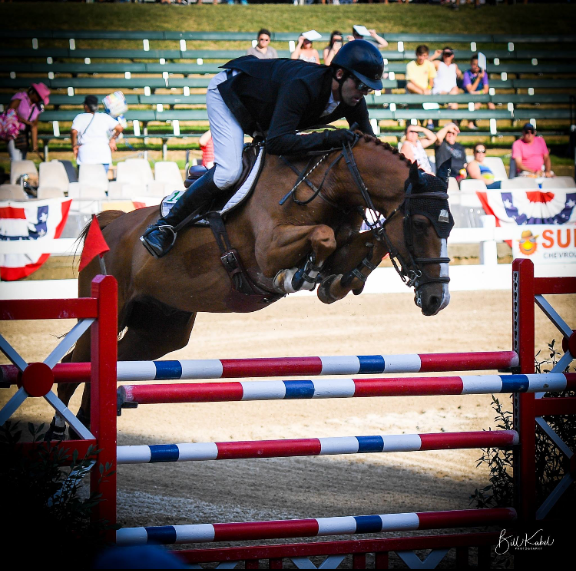 Kime also had a sixth place finish in the Gambler’s Choice and Tokaruk rode Tenacious D to an eighth place finish in the Grand Prix. “Michael is an amazing trainer and is always very involved with all of his horses,” said Kime after her successful week. Lucy Reich and Indelible rode to the Junior Hunters 3'3" Championship. 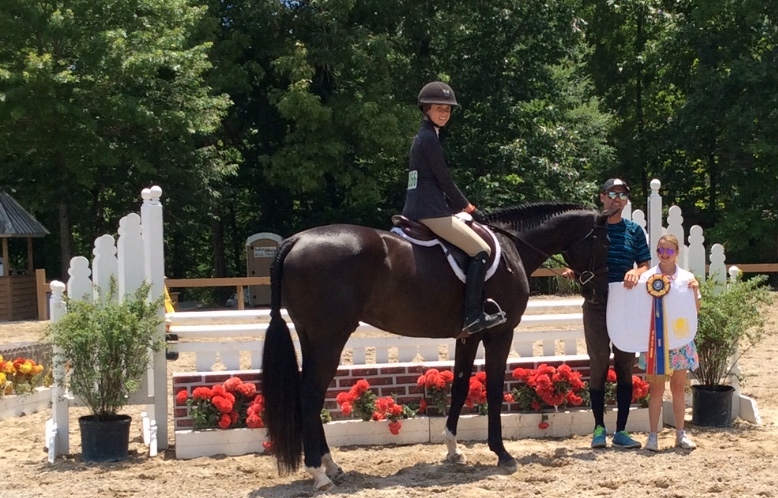 Tokaruk also helped Lucy Reich for the week to earn the Junior Hunters 3’3” Championship with her horse, Indelible. Perhaps the biggest challenge of the week for Tokaruk was the extremely competitive Lead Line class with Jack Walker, 2, of Brownsville, TN! Fortunately, Tokaruk had Rollingwoods Cookie Time perfectly prepared and the young Walker had perfect position in the old-fashioned basket saddle for the win. 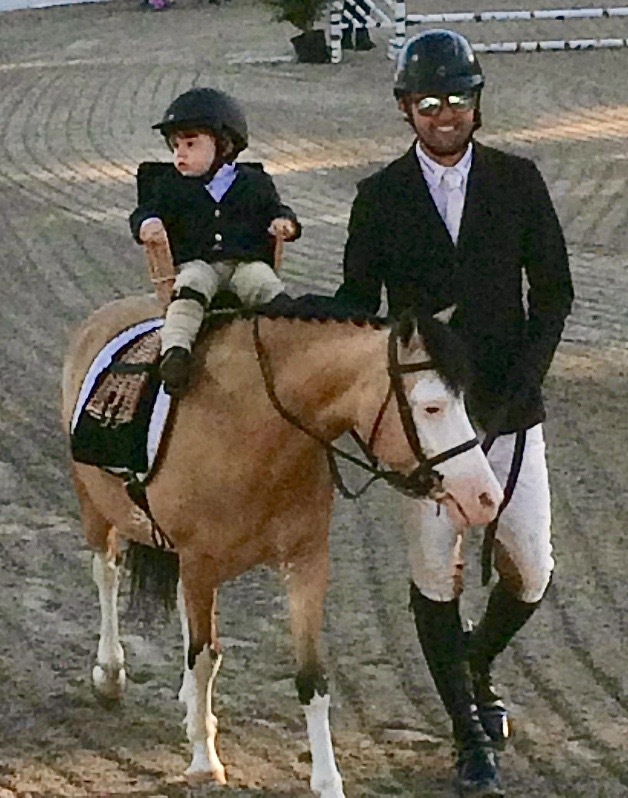 The pony is owned by Maria Roberts, who graciously lent her to Walker for the class. Jack Walker and Rollingwoods Cookie Time earned a blue in the Lead Line class thanks to Michael Tokaruk's lead. Tokaruk Show Stables came off of a successful two weeks at Brownland Farm and plan to head to the Colorado Horse Park next and then to the Chicago area for Equifest in Chicago the first two weeks in August. 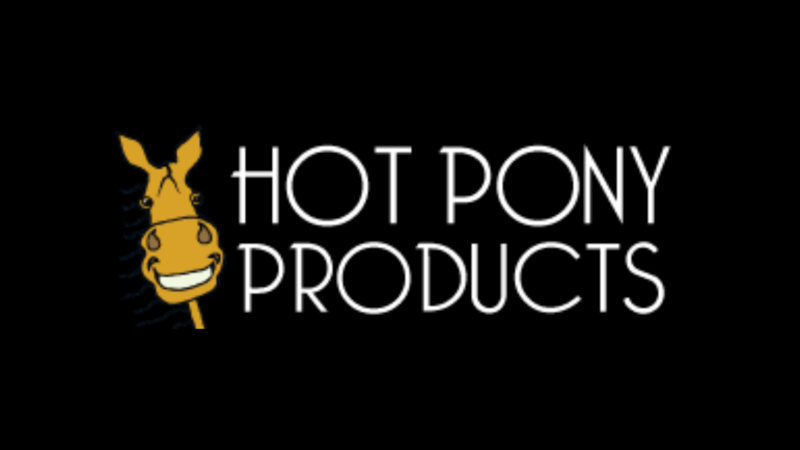 Contact Michael Tokaruk to try some of his quality horses for sale. For more information, please visit the website at www.tokaruk.com or contact him through Facebook or Instagram @michaeltokaruk. 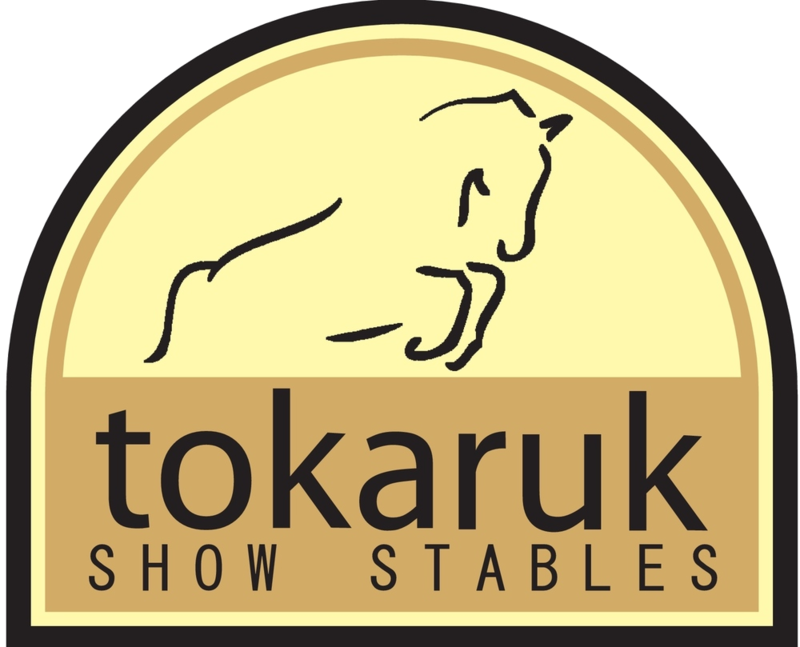 Tokaruk Show Stables trains and sells hunters, equitation horses, and jumpers.They focus on teaching horses and riders to be their best at some of the biggest horse shows across North America. 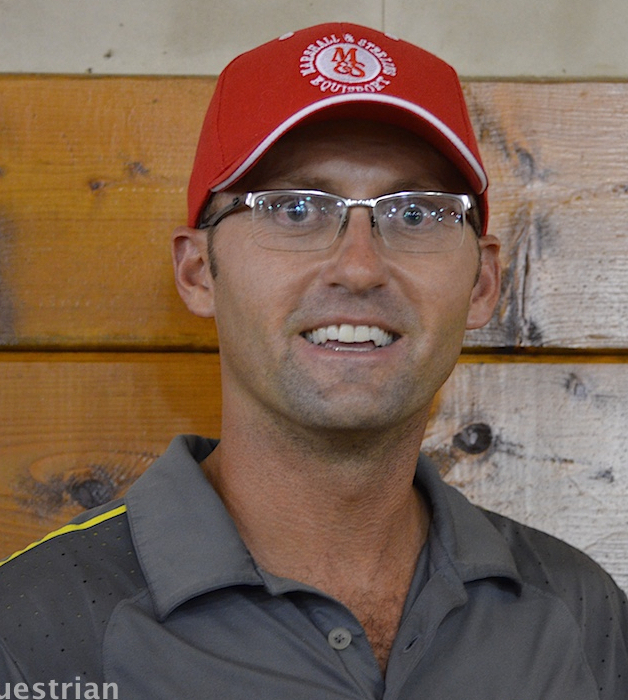 Michael Tokaruk and the team at Tokaruk Show Stables work with quality horses and ponies and cater to serious riders in the Memphis and Mid-South region. Michael earned his degree in Political Science from George Washington University in Washington, D.C. Immediately after graduation, Michael accepted the position as head professional rider at Spring Mill Farm working for David Pellegrini for almost 4 years Michael has trained numerous juniors and amateurs to countless blue ribbons and championships in the hunter, jumper, and equitation divisions and has ridden many horses to championships in the professional hunter and jumper divisions at ‘AA’ rated horse shows across the Midwest and South. Most notably, Michael won the AHJF Legacy Cup Finals as a professional in 2005 riding Polaroid, and has won multiple grands prix over the past several years– reaching 10 career major wins. In 2015, he won the Brownland Spring Grand Prix with Qasqai and the IJF 7 year old young jumper finals championship on Vanrock. Tokaruk Show Stables is located in Collierville, Tennessee with 24 large stalls with plenty of lush grass paddocks for turnout. They have a large all weather sand ring and several large grass fields for riding. Horses receive the finest training, care, feed, and daily attention as they are valuable athletes and are treated as such. Michael and the TSS staff customize a training and care program for every horse to suit its individual needs. Michael's fantastic ability as a rider earns him rides on quality horses for sale that he successfully campaigns and promotes until sold. Contact Michael to sell or buy your next quality show horse.